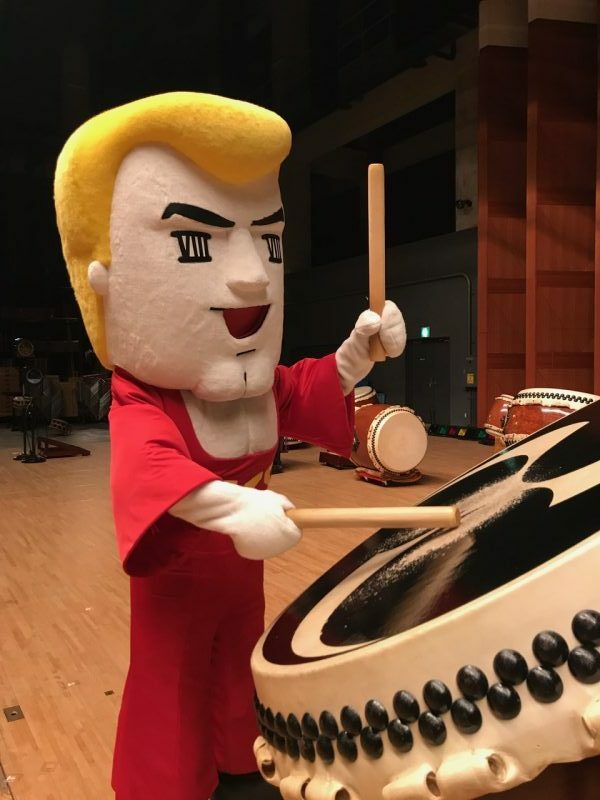 Hiroshima’s superstar Hiroshi Michael (Hiroshi-maikeru) is the official character of television broadcaster TSS (Television Shin Hiroshima System). He is a positive guy.At first glance, you might think he is intense and somewhat gaudy, but I heard that his bold, unwavering presence gives energy and courage to the TSS viewers. His character is easy to understand and interesting, which are both traits that we strive to achieve with our intense “DADAN” performance. As you know, an atomic bomb was dropped on Hiroshima. 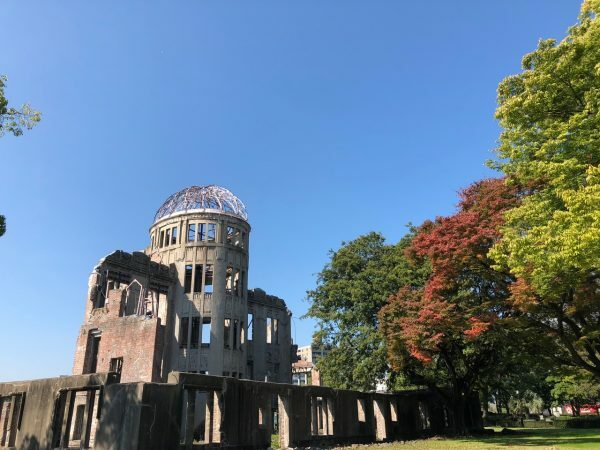 Visiting Hiroshima, I was reminded of the value of peace and the joy of living in the world today. As long as I am alive, I want to keep the fire within my soul burning brightly. I want to share that fire on stage! 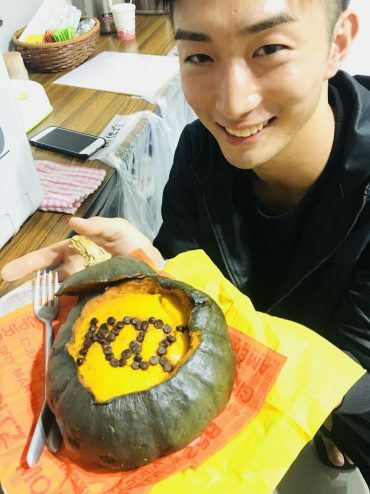 We received a pumpkin cake for Halloween.